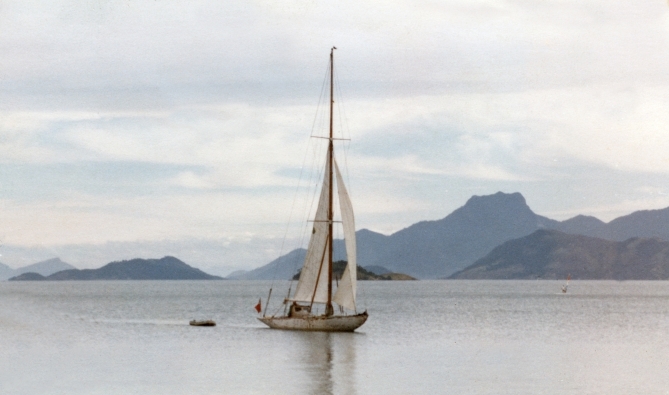 In 1979, Ursula Westmacott impulsively left London and her modelling career to join her boyfriend Chris Crocker on board Spero, a 42-foot sailing boat built in 1909 and never modernized -- no engine and just a sextant for navigation. The two intrepid sailors headed south for Gibraltar, then Africa, finally crossing the Atlantic to reach Brazil. Westmacott’s account of their voyage – hilarious at times, hair-raising at others – forms a remarkable adventure story from a pre-Internet era and is available as a digital download here.